ATLANTA, Sporting Alert – Kyrie Irving scored 30 points and the Boston Celtics extended their winning streak to 15 games with a 110-99 victory over the Atlanta Hawks on Saturday night. The current winning streak is Boston’s longest since its franchise-best 19 consecutive victories from Nov. 15 to Dec. 23, 2008. “Most of us have never been on a winning streak like this,” Irving said. “I don’t know if we even know how to pay attention to all the hoopla that goes on in terms of the excitement of it. 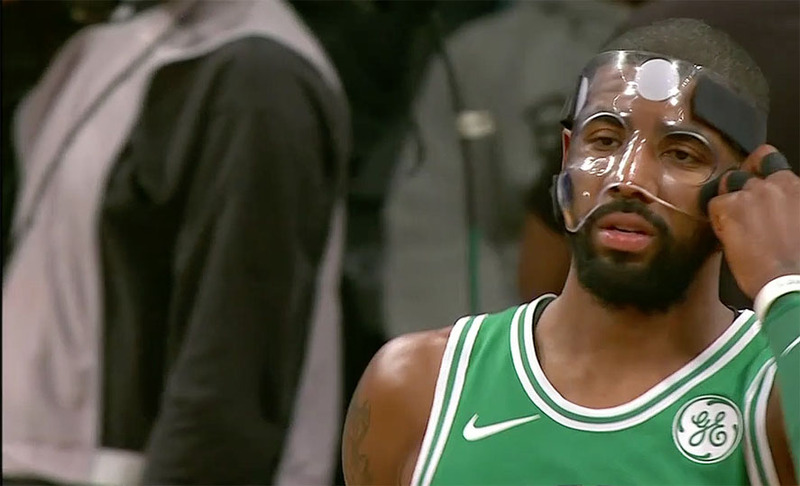 Irving, who returned to wearing his protective mask after ditching it during the win over the Warriors earlier this week, shot 10 of 12 from the floor, including 5 of 6 from 3-pointers and had five assists and four rebounds. Jalen Brown made four 3s and went 10 of 13 from the field to finish with a career-high 27 points, while rookie forward Jayson Tatum added 14 points – all in the third quarter – with seven rebounds, four steals and blocks for the Celtics (15-2). Marcus Morris also scored 14 points, Marcus Smart had 10, while Al Horford was held to seven points after shooting 3 of 11 from the floor for Boston, which rallied from a 16-point deficit to secure the win. Dennis Schroder had 23 points and nine rebounds for Atlanta with Kent Bazemore scoring 19 and John Collins ending with 18 points and seven rebounds off the bench. Also scoring in double-digits for the Hawks (3-13) were Taurean Prince with 14 points and Luke Babbitt with 11. Irving and the Boston Celtics will aim for their 16th straight win on Monday when they make the trip to Texas to take on the Dallas Mavericks.